We’ve all been teenagers once in our lives and we can attest to the most unexplainable tendencies and the now-considered weird preferences. How we wish we knew what we know now – that being a teenager is completely normal yet an entirely roller-coaster heck of a ride, with which we failed to brace ourselves for the impact. Being a teenager is normally tough and a lot of neuroscientists continuously advise us to support, understand and alleviate the stress as much as possible. As parents or guardians to these totally vulnerable creatures, we need to make the home – specifically their bedrooms – to be their sanctuary during this often rebellious and constrained stage in growth. Neuroarchitecture is surely not something new to many of us, but could’ve been ignored by many as well. This aspect of architecture focuses on the five areas of the brain: (a) sensation and perception, (b) learning and memory, (c) decision-making, (d) emotion and (e) movement. This merge of neuroscience and architecture has become a breakthrough study recently and it has surely influenced architects and interior designers so much that it has been applied in designing buildings and hospitals. 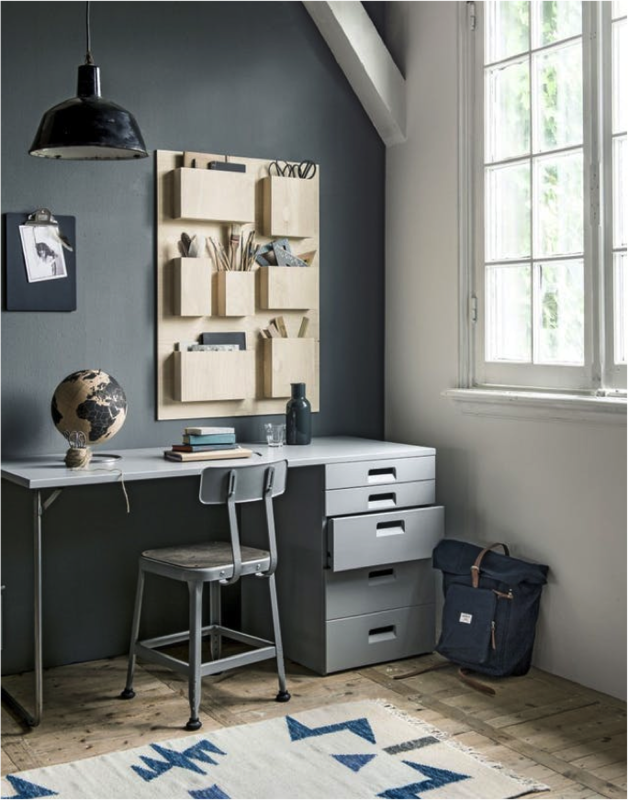 Sure it depends on how one wish to arrange his or her room, but health and comfort are also dependent on the placement and arrangement of things in a room. This is particularly important for adolescents, for they tend to get irritated, if not aggravated, by so many stimuli around them. So it’s a matter of putting things at the right place and putting the right things in place that matters. Dr. Francis Jensen is a neurologist the author of The Teenage Brain and during her interview with regard to her book, she explains why teenagers are susceptible to stress and are prone to addiction. She notes that stressful situations can lead to depression among adults, let alone its effect on the still-developing brains of adolescents. While the home must be their primary haven for all the members of the family, the teen’s room is their personal space and nest. During this crucial stage, make it a point that their rooms become a place they can really call their own and an area to incubate well-being above anything else. 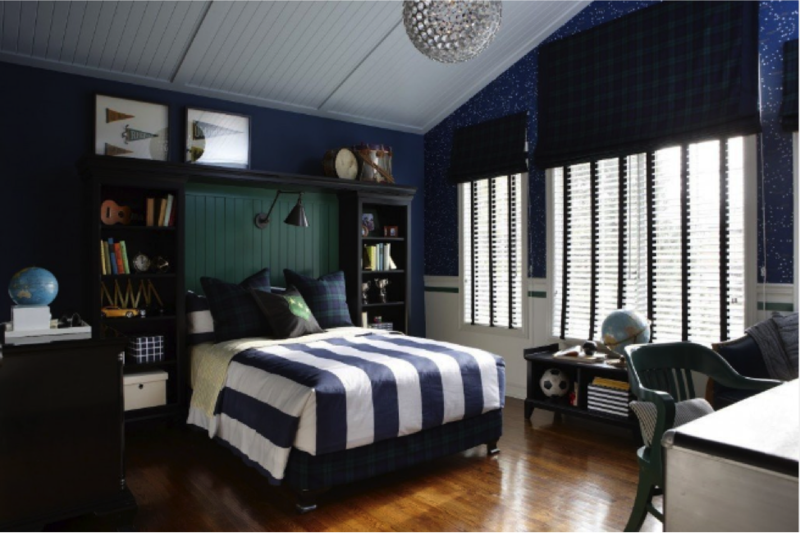 First and foremost, your teen should be involved in the process of decorating or renovating his room. This won’t only excite him to finally get what he wants and materialize his ideas but also makes him feel valued. His choices may not be your fancy or that you have this prior notion of teenagers being bad at making decisions, it still pays to look for a common ground and you’re your decision-making on those established agreements. Working together is also an opportunity for parents to work closely with their kids, especially in terms of making decisions and money matters. Yes, they’re not yet capable of really contributing a large amount for the project, but opening up to them financially leads to opening his mind to reality and the need for frugality. There are tons of bedroom decoration ideas online, and you both can work things out to give the room a personal touch. Experts link depression and other mental disorders to the developmental stage of the brain, and the teen years are certainly a part of this. With this, teenagers need all the psychological and emotional boosts they could get. Natural lighting is definitely the answer. When the sun’s out, let it shine through the window and make it large enough to get ample sunshine. At night, most teens have difficulty getting enough sleep, as they tend to be quite active at a certain time in the evening. The change in their body clock interferes with their ability focus and well, also with keeping themselves awake when they really need to. Promote better sleep by installing dim lights at some corners of their rooms to lull them to sleep after burning their brows studying. Stringed lights (aka monochromatic Christmas lights) are becoming a bedroom trend lately. Furthermore, it’s ideal that a study room should be in a separate room so that the bedroom would get little to n harsh light sources like from the computer or TV. Teens get overwhelmed when they’re drained yet assailed by so many things in an instant. As Dr. Jensen notes, where adults are more likely to control impulses and weigh out different factors in making decision, teenagers may not have “full on-line, in-the-moment capacity.” All because their brains are still developing that side of their brain, and once they mature, they’ll be able to take control of those tendencies. That’s where organization comes in. This would help your teen feel at ease and relaxed when they wake up and when they get home from a hard day’s school. 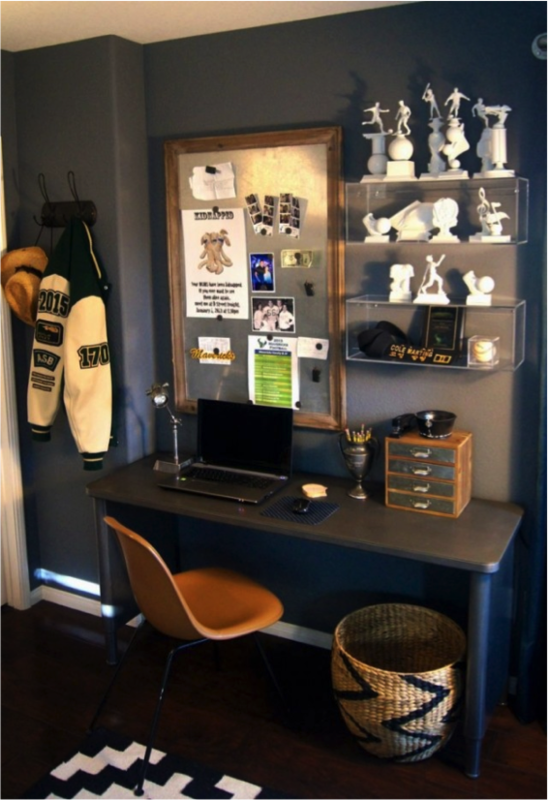 Encourage your teen to minimize clutter as much as possible. Provide much needed containers and shelves to put things in their proper places. 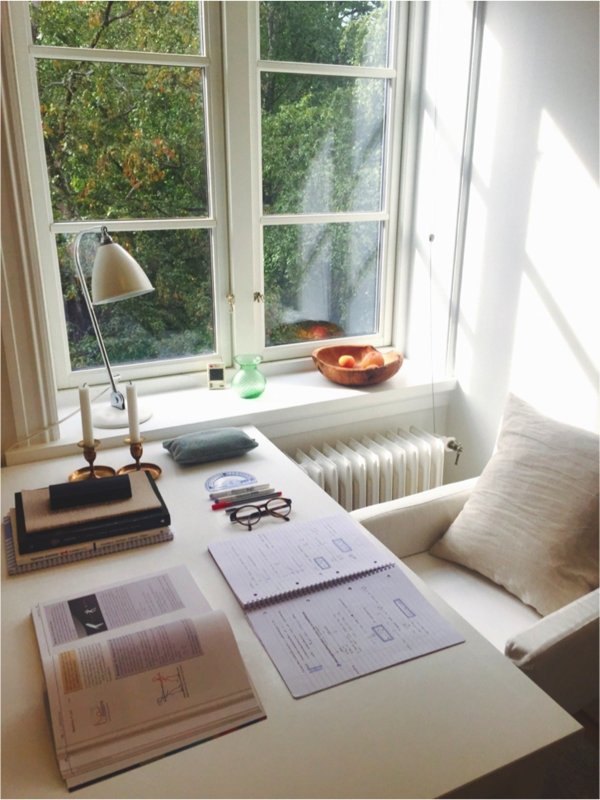 Neuroarchitecture experts are coming up with minimalist workspaces with aims to improve productivity. Adhering to this principle, the neat and clean area allows adolescents to process even the tiniest detail, especially when it comes to decision-making. This may go unnoticed to some people, but there are those who are quite particular with the height of their ceiling. Besides, the height itself induces a particular effect on the brain: high ceilings result to abstract thinking and low ceilings promote confinement and concentration. High ceilings are also reported to enhance people’s memory, specifically their recall clustering capacity. However, there are those that enjoy low-ceilings rather than high ones. If it’s possible to adjust the ceiling, then you might as well do so according to your kid’s preference. If this doesn’t really bother him that much, then no need as it’ll only be an unnecessary expense. Should you wish to do so in your living room or in other parts of the house, then you know well which ceiling altitude best suits you. Ever noticed how today’s trends slowly depart from intimidating and sharp-edged furniture and interiors? There’s science to that as neuroarchitecture experts found out that soft edges and curves evoke contentment and promote a good state of health. Soft geometry on key pieces in the room would be enough, so the room shouldn’t go all rounded and soft. That would be unnecessary, according to designer Johnny Grey. Nature really has its way on us. Imagine a green outdoor: trees blown by the wind and the field covered by green grass whose scent could also be smelt from afar. All of a sudden, we’d feel a little lift on our mood and energy. At times, we’d also have the urge to commune with nature. Surprisingly, it’s an instinct called biophilia – the tendency to bond with other living things including plants. In line with that, Dr. John Zeisel says that just being able to see how the weather is and what’s happening outside relaxes the person, making him feel more in control of things. When things get rough, like when the kid goes through a tough period in school or in their relationships (which often happens), such as overloading school works, piled up books and notes to study, pass or fail examinations, complicated circumstances with friends, it’s definitely too much. Let nature’s superpowers have their way on your teenager, so open up the windows to breathe fresh air and enjoy the natural scenery outside. Getting plants into his room can also reduce stress and improve concentration levels. The interrelation and interconnection between seemingly different fields of study continue to converge as people like the neuroarchitecture experts persist in re-thinking long-established practices for the sake of humanity. Buildings are now constructed to serve the users to an optimum. Hence, it’s also the time for our houses to not only shelter and protect us but also to serve our well-being, especially those who are in their most vulnerable season in life. Copyright © 2019 Urban Houses. All rights reserved.